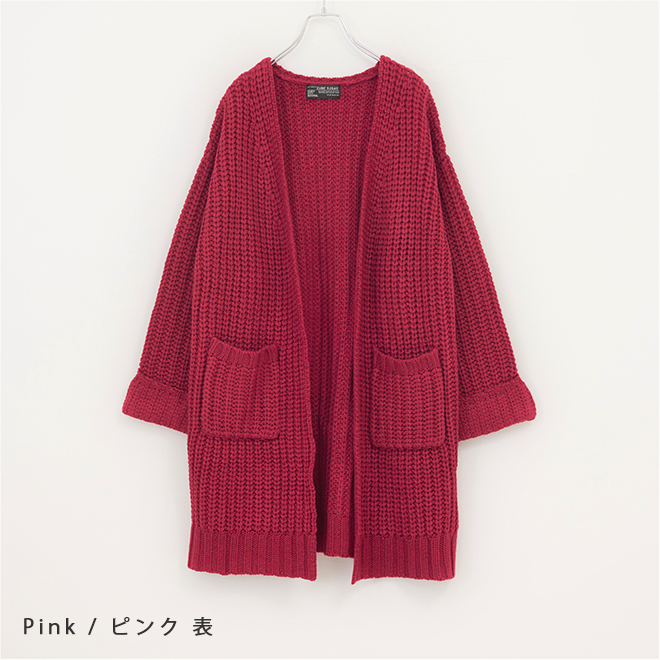 If there is not knit, going out on a cold day does not begin. 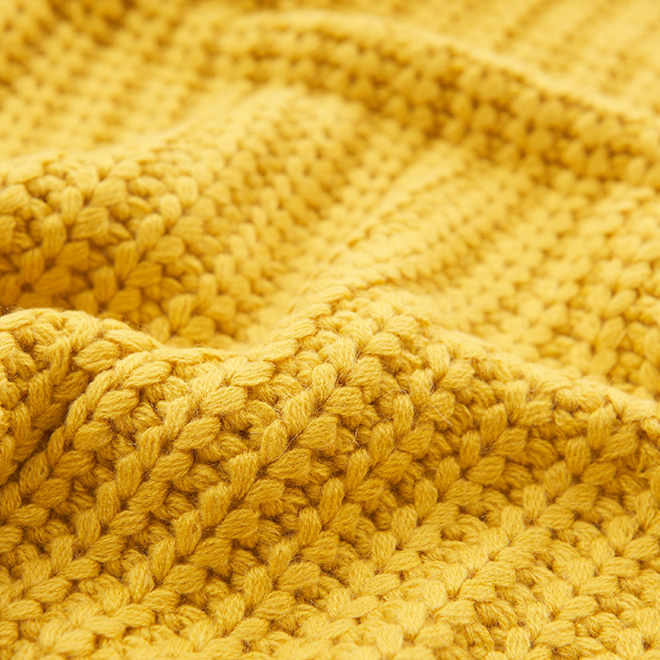 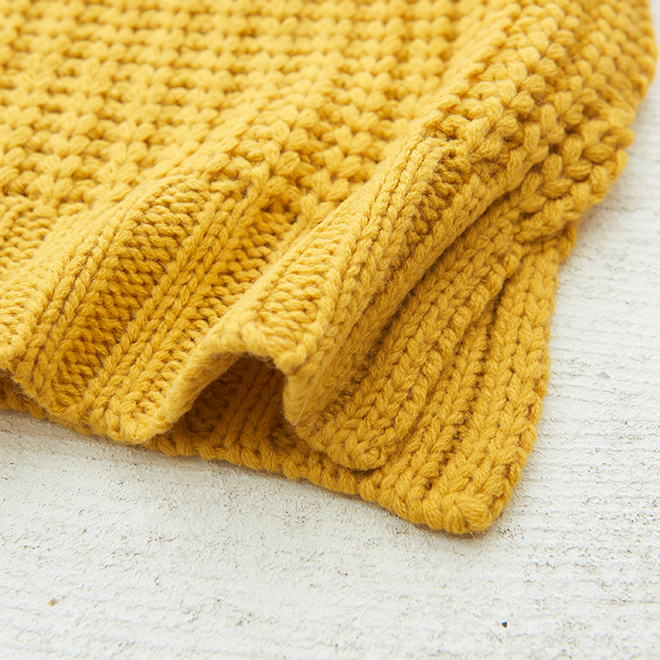 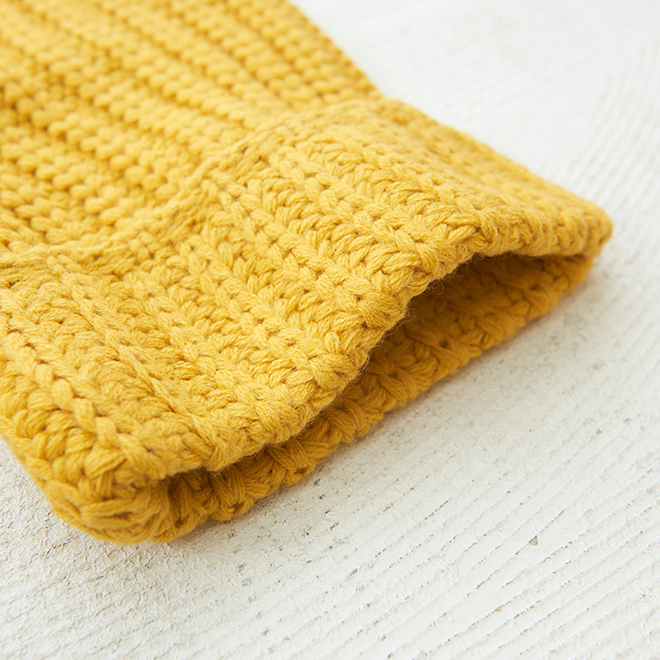 The rough-hewn rib stitch knit adds a natural image and feeling of warm. 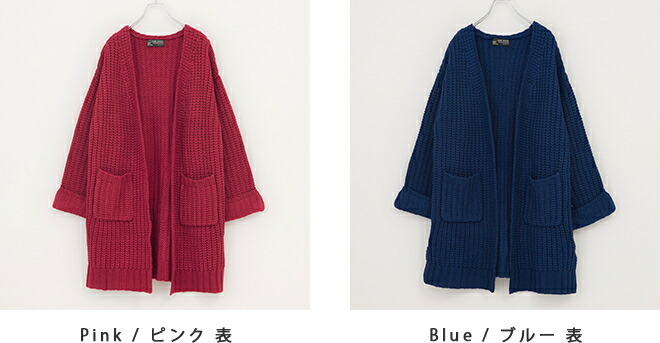 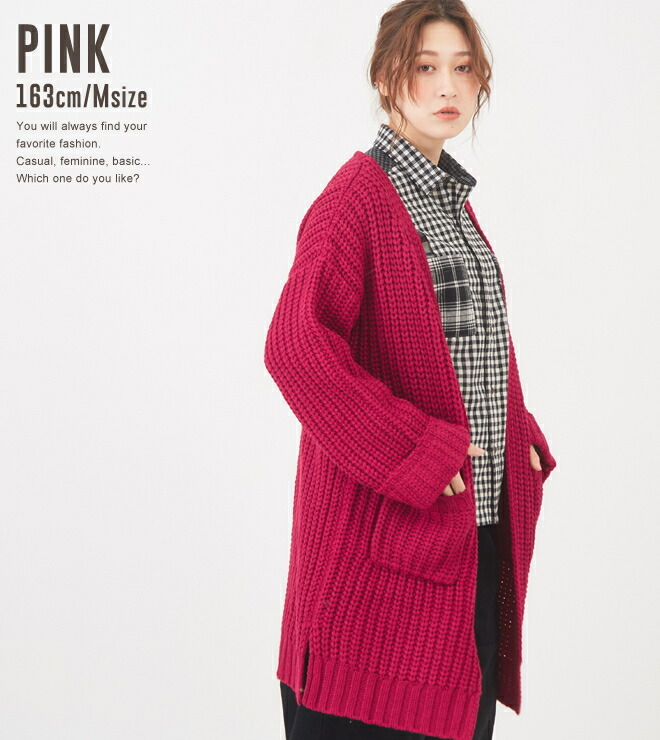 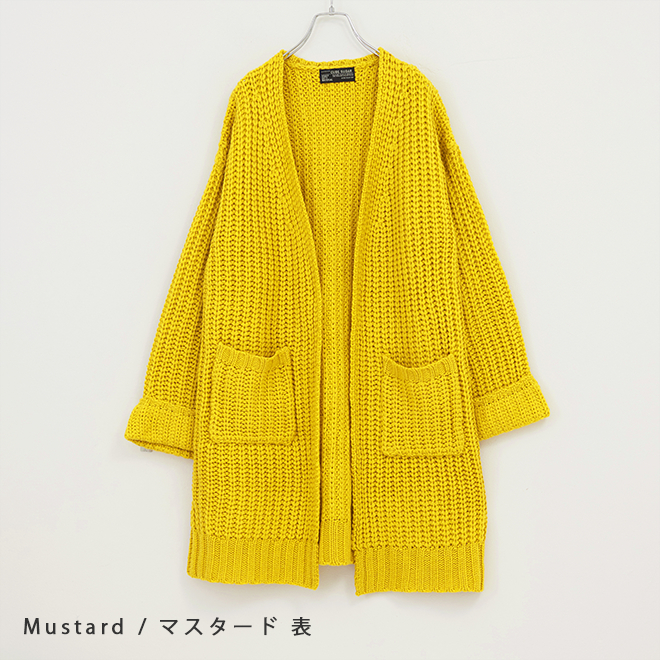 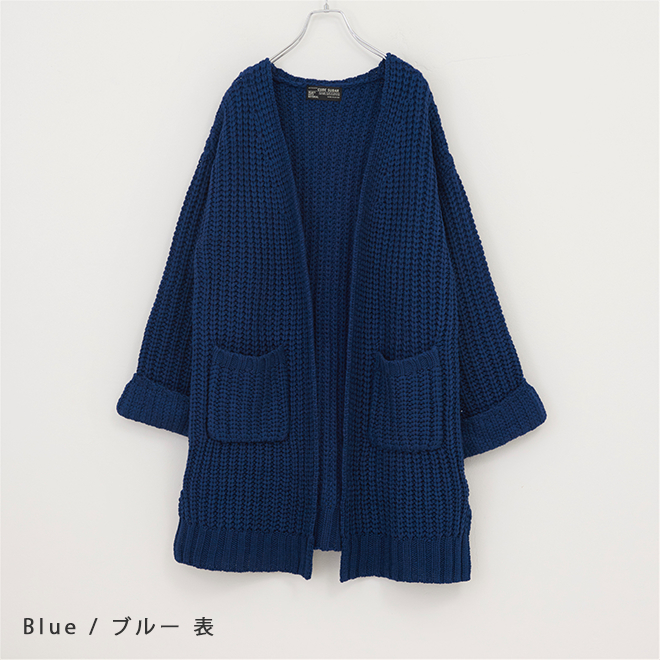 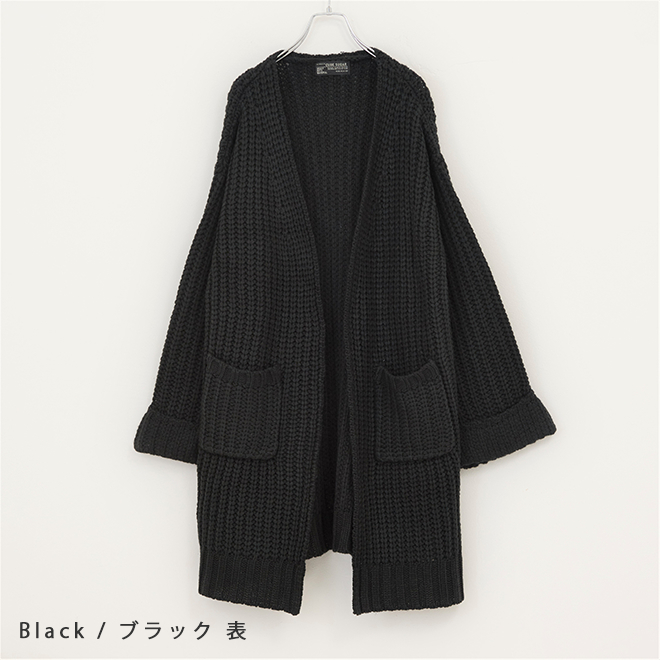 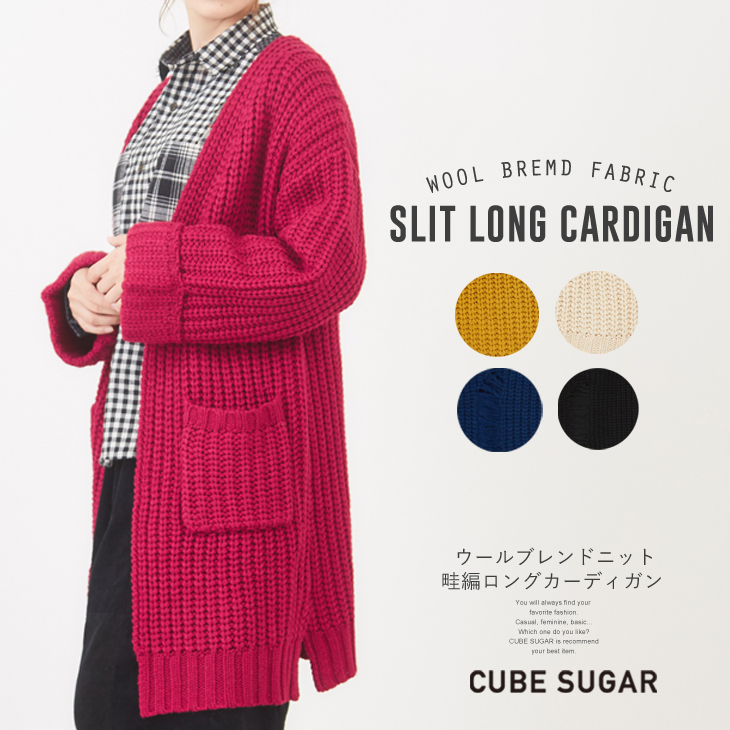 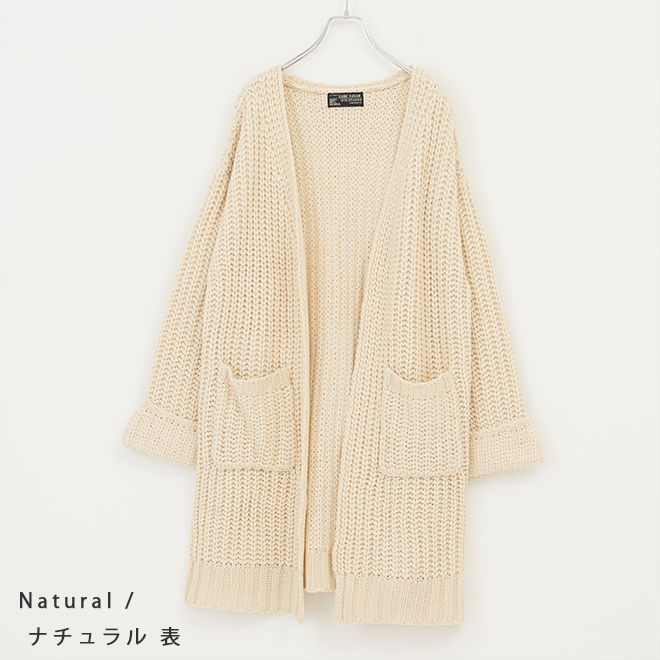 The long cardigan wrapping up the whole body gently creates a quality of child and the style up of the woman easily. 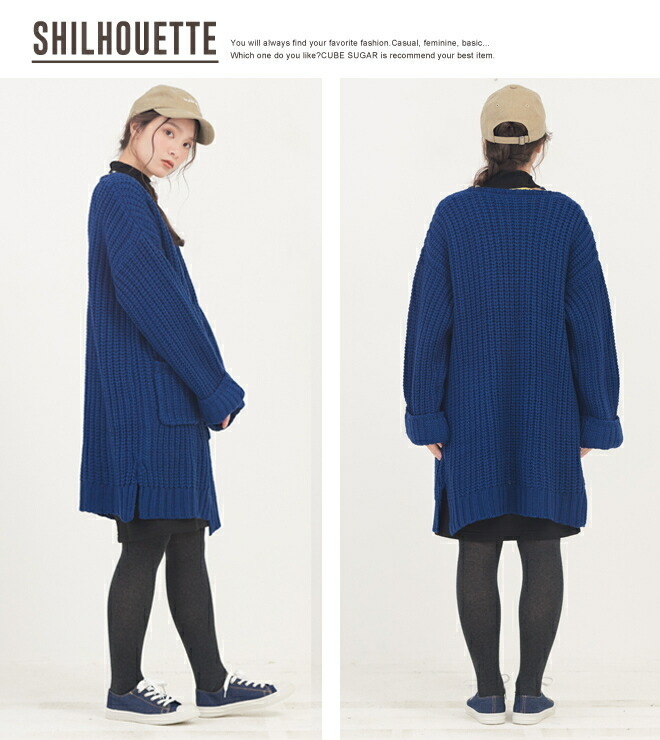 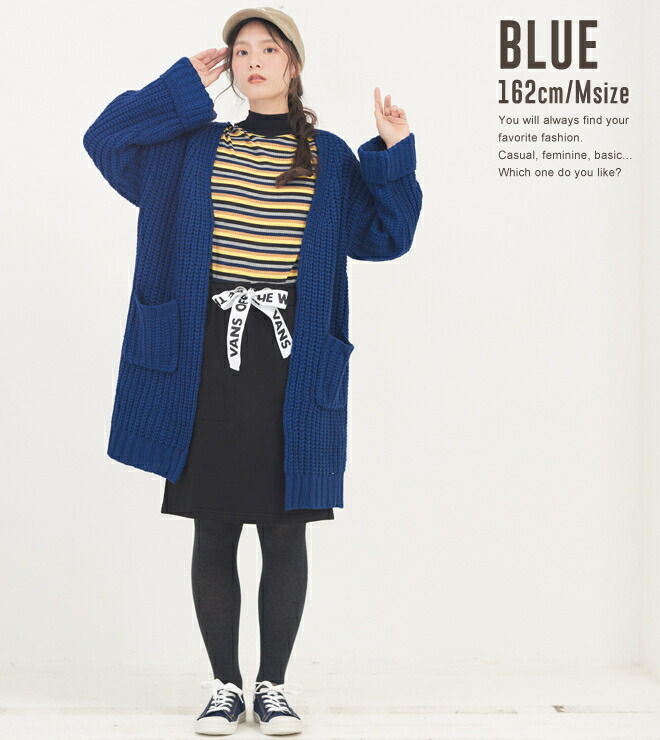 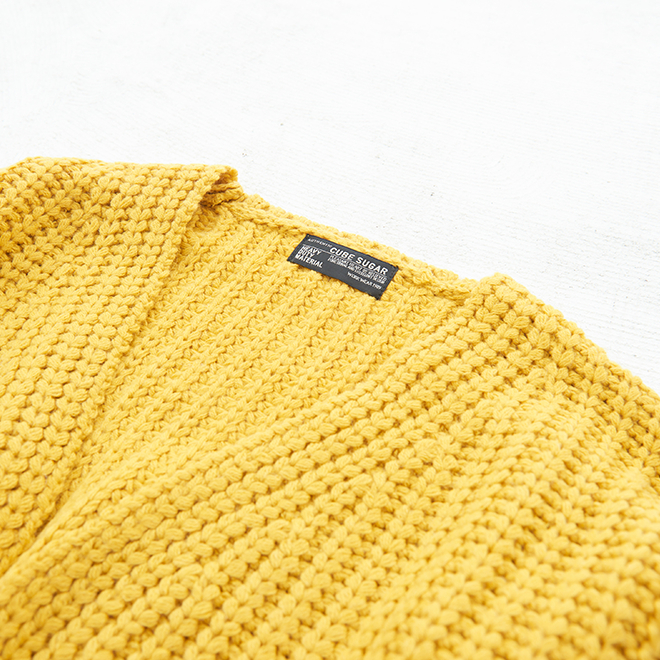 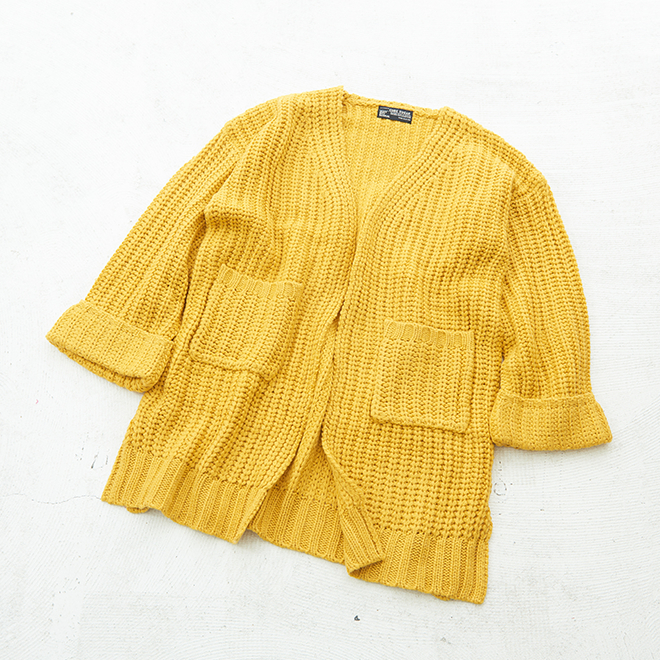 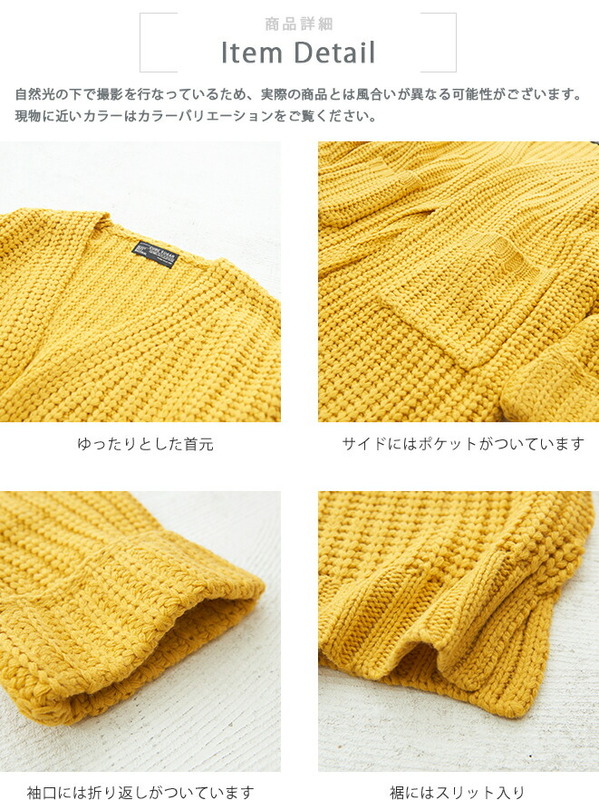 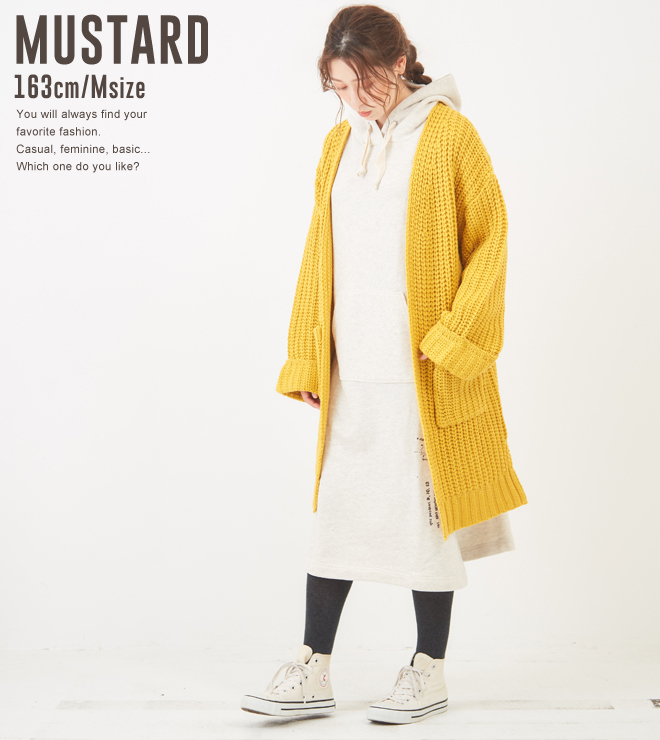 I can enjoy knit coordinates to go to the one step that both the heart and the body warm. 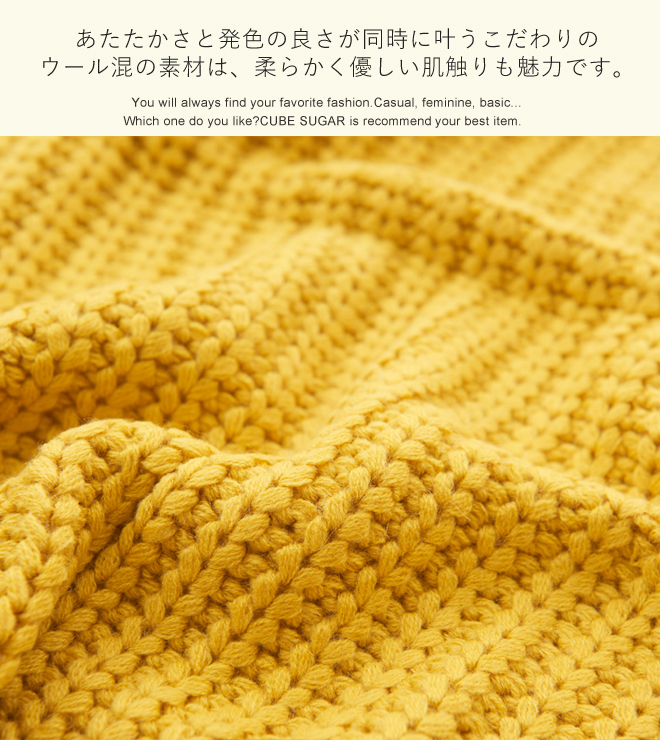 It is a wonder of the knit that come to want there to be several. Including a stitch and a color, the silhouette if begin to prepare it, there is no drill. 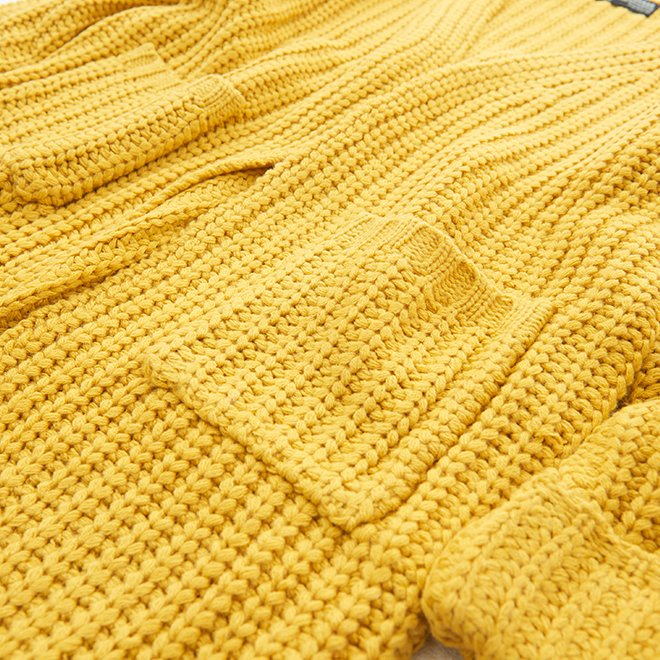 The discerning material that good color development comes true at the same time when the wool blend knit is warm. 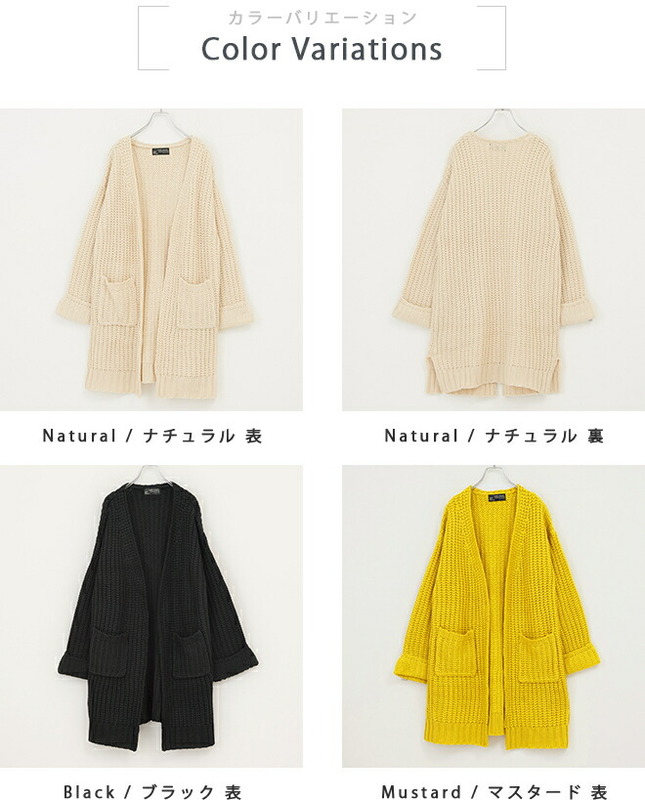 I prepared for abundant color variations to make an outstanding performance for the winter styling that it was apt to become dark. 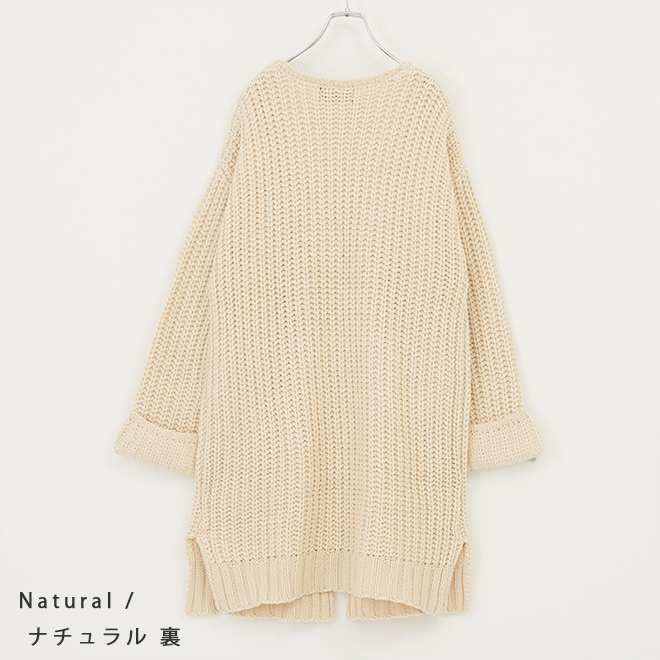 I want to dress the everyday item to use casually which is not affected well smartly well without cutting corners in the detail. 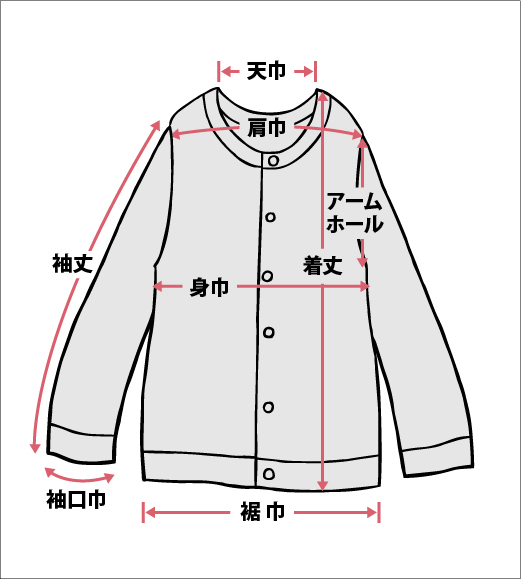 サイドにはスリットを入れることで、動きやすいだけでなく、横顔のさりげない印象をプラス。 The cuffs patronize the delicate hand that seems to be a girl by greatly doing roll-up in a done design beforehand.